Ramp it up another notch with ETD’s Elemental 4-4 which features 4 modules of 16 total Generation IV 3-Watt LEDs for an impressive power output of 48 watts. 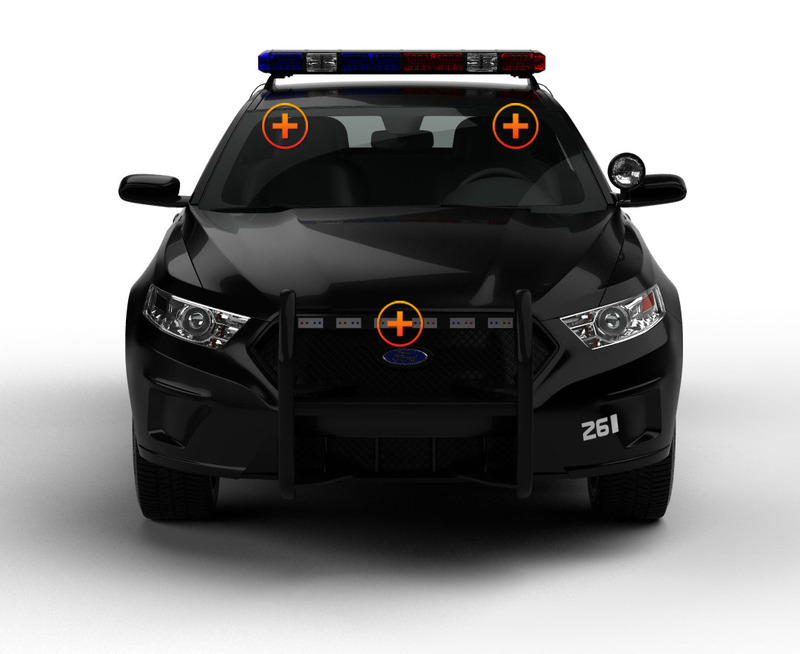 The Elemental 4-4 uses the same light as our best-selling Elemental 4, a premium in emergency vehicle lighting. 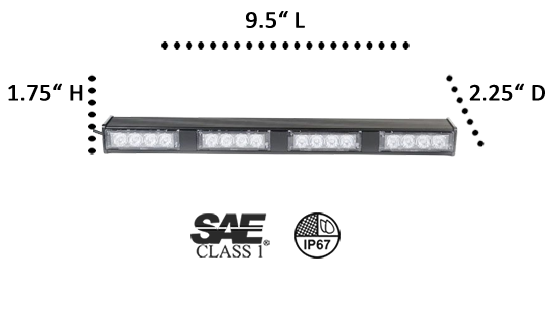 With Total Internal Reflectivity (TIR) lenses providing a forward-facing, directed light reach, this light bar can be easily mounted to the deck or dash of your vehicle or used as a visor light with purchase of headliner brackets. Exterior mounting also comes easy with weatherproof epoxy seal that won’t leak. Superior aluminum housing and shatterproof polycarbonate protect the lenses and Generation IV 3-Watt LEDs from scratches and damage. It doesn’t get much better for LED work lights than the Elemental 4-4’s 26 flash patterns with pattern memory and the option to go split or solid – giving you the choice to have 2 different color LEDs or keep them the same. Comes in 5 available colors. 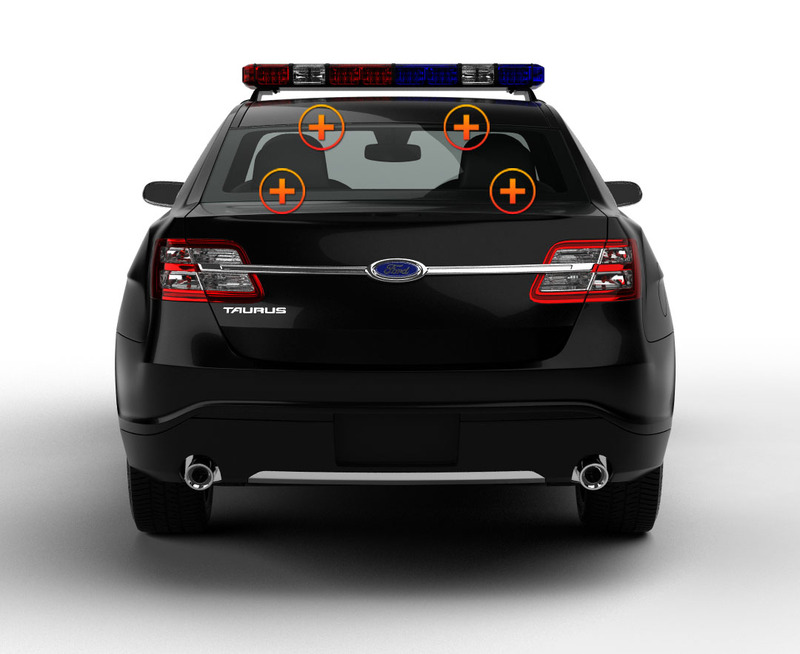 ON/OFF and flash pattern switches are on the head of the cigarette lighter power plug for easy access and the 9’ cable reaches around your whole vehicle, letting you put this police light bar wherever it serves you best. With our Generation IV 3-Watt LEDs capable of handling 100,000 working hours, keep a light on things with the utmost confidence. This light and every light in the Elemental family are extremely bright! Great choice of flash patterns to choose from. 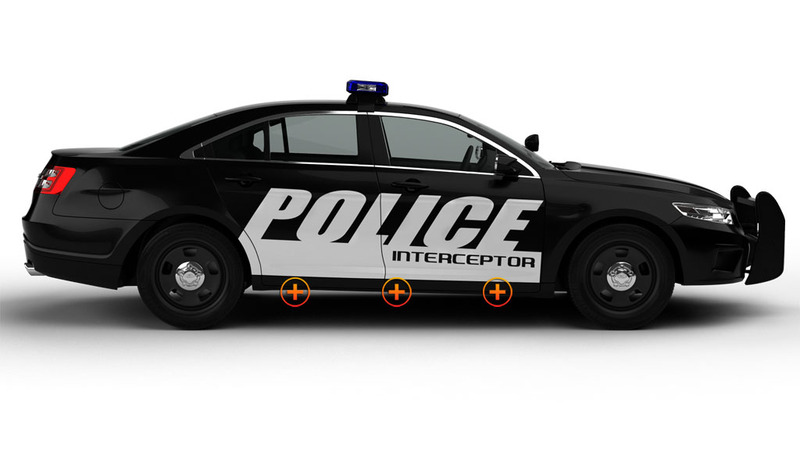 They are not bulky like other brands, perfect for all kinds of applications to a POV or department vehicle. Highly recommend!